Edit design Knit sweater pepita , or create your design from scratch. 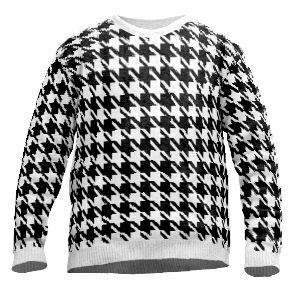 Pepita sweater with pattern knit in: try out your knitsweater variation with this classic black & white design. Have a pepita pullover knitted your way with "Peter" or any other name knitted in. Including rib cuffs on body and sleeves.